allow me to share them with you all. Aren’t they so adorable??!!? 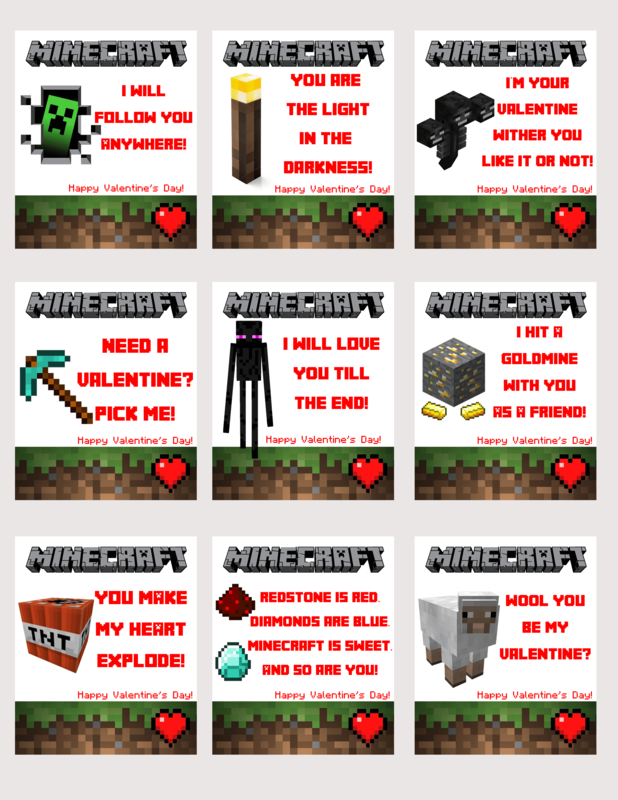 We will be exchanging valentines at our co-op’s Valentine Party, and will definitely make good use of these! 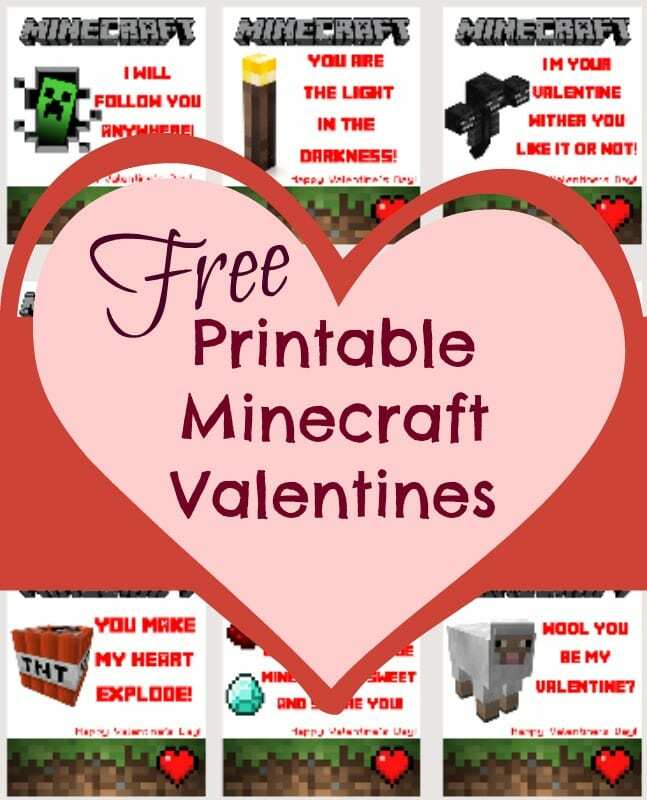 Get your Free Printable Minecraft Valentines here. Looking for an educational, kid-safe, family friendly Minecraft Server? Join Skrafty!